The movement, led by expelled EFF MP Andile Mngxitama, yesterday called for an order declaring Gordhan ‘captured and compromised’. 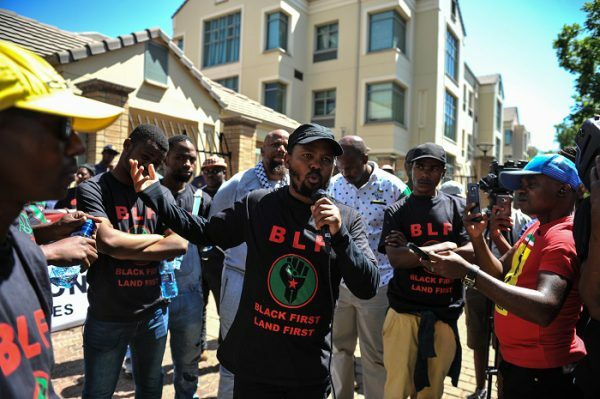 The Black First Land First (BLF) movement thinks Finance Minister Pravin Gordhan, who is facing fraud charges, is “captured” and should step down. The movement, led by expelled Economic Freedom Fighters (EFF) MP Andile Mngxitama, yesterday lodged a motion of notice with the North Gauteng High Court in Pretoria against Gordhan. It seeks an order that Gordhan be declared “conflicted, compromised and captured by white capital” and be compelled by the court to explain the “Ciex report” which shows that R26 billion was allegedly stolen from the South African Reserve Bank by businesspeople, among others. It wants Gordhan to provide the information requested by the BLF on the R68.6 billion declared by companies that was allegedly illegally taken out of South Africa in 2003 and the terms and conditions that justified the payment of only R26.9 billion in fines by the companies concerned. The BLF affidavit submitted to court suggests Gordhan was appointed through illegal lobbying by “white businesses”, which are implicated in stealing from the Reserve Bank. The BLF claims Gordhan’s shares in multiple white-owned companies have compromised him. First National Bank, Standard Bank, Absa Bank and Nedbank are the respondents in the matter.